Which attire comes to your mind when you think of an occasion..a friend's wedding..a cousin's engagement..or maybe one of own pre bridal function?? Something traditional right? 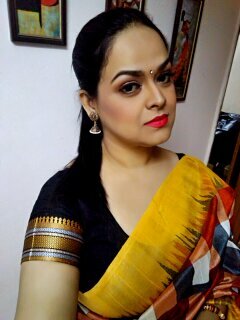 Be it a Lehanga or Saree !!! The point is no matter how many expensive dresses and trench coats we have hanging pretty in our wardrobe,we end up singling out ethnic wear only for occasions like such. Personally speaking, if you follow me on Instagram (which you should off course :P) you would know that I'm high on ethnic wear and ethnic jewellery lately!! 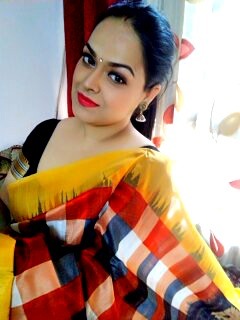 So when I got a chance to quench my Saree thirst from Sareez.com..you know who was happier!! 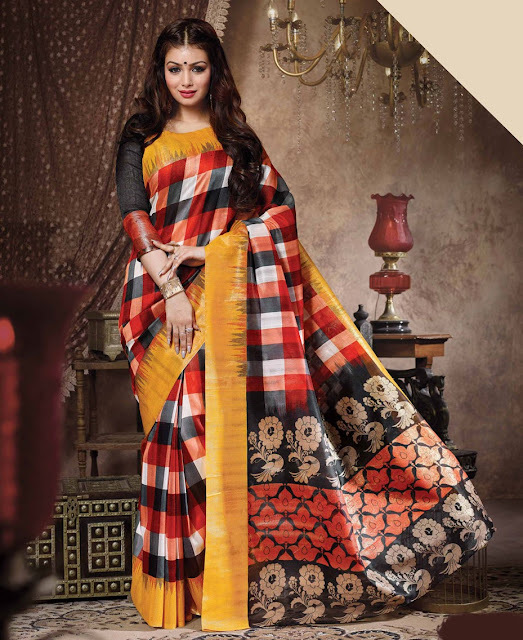 There was a huge sea of sarees categorized under different fabrics, occasions and by work done on them. Thus picking one was no cake walk. But off late I have been bitten by the saree bug and the love for the six yard got me hooked to various saree groups on facebook. Hence, being crazily inspired I wanted to wear one with checks. And this is what I finally landed upon..
and I'm happy to confess that the experience has always been very satisfying! I received my shipment in a week's time.Their packaging is best that I've ever had. The product comes nicely packed in a card board box which then is wrapped up really well in a cloth binding. 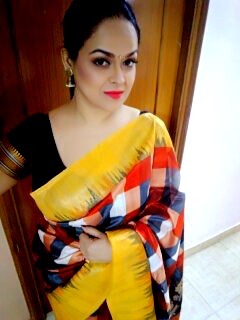 The saree was pretty ready to wear with fall and edging intact. They also offer stitching of blouse and petticoat, but I prefer to get it done by my trusted tailors so I skipped that option. In the pictures I'm pairing it up with one of the blouse of my collection and not the one that came along as it is still unstitched. And that's how it looks on me! I appreciate the fact that the saree was true to the colour depicted which always isn't the case. It is bhagalpuri silk and is very manageable. Once draped and tucked it stays intact and isn't much wrinkle prone. 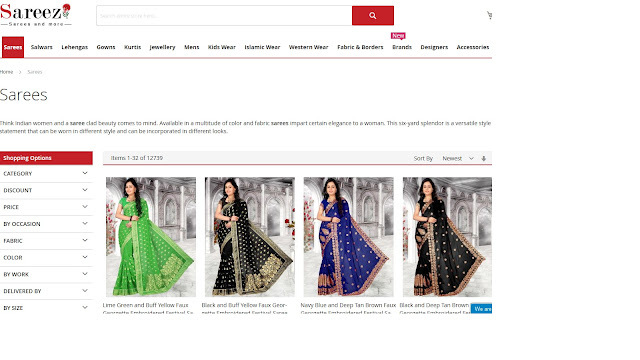 Since it is multi-hued, it can be paired up with a number of blouses that would impart a whole new look to the same attire every time it is worn!! 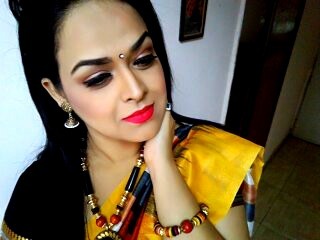 I paired it up with ethnic neckpiece and jhumkis, although I believe in one statement jewellery...its either a statement necklace or big beautiful earrings!! Hope you guys like it and if you expect an ethnic wear shopping ahead, then don't forget to check out Sareez.com as they are having great sales on right now!! 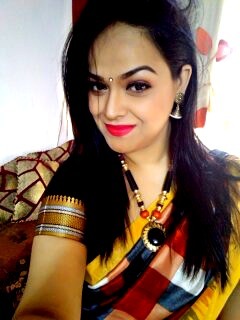 You look gorgeous <3 Love the saree!